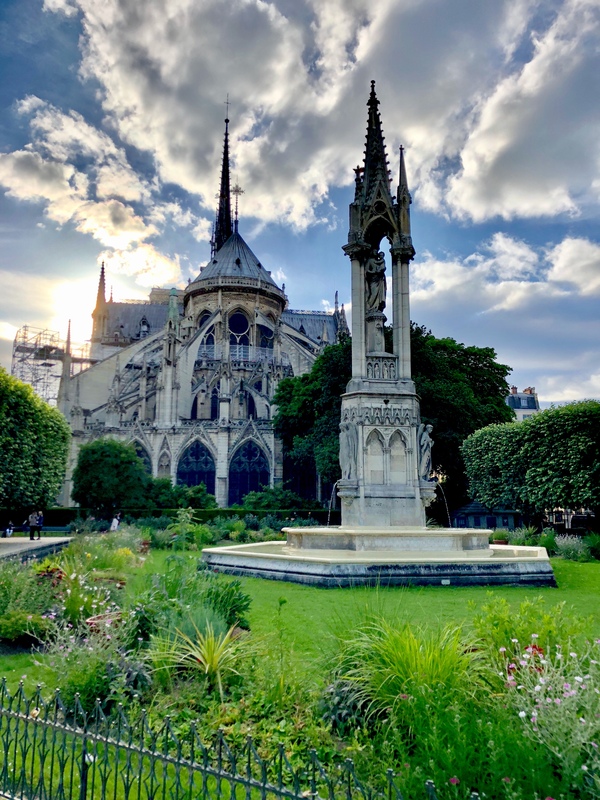 Last Summer I saw Notre Dame Cathedral. Yesterday I cried along with the rest of the world as we watched it burn. I comforted myself with the photos I had taken and posted some on Facebook. Today I will share them with you on WordPress. This entry was posted in Notre Dame, Visions and tagged Cee' Fun Foto Challenge, Notre Dame, Photography, Travel, Tuesday Photo Challenge. Bookmark the permalink. How nice so many of us have a few well kept memories to share. Your photos are wonderful, and lucky you, recent. Mine are from 2003, but still I do have them. lovely images. stupidly, I didn’t enter it last time I visited. Thanks.There is always something we don do when we travel. I didn’t go up the Eiffel Tower stupidly. Like I told Jackie My sunset walk around outside was more meaningful. I felt the peace of Our Mother much more there. Thanks for sharing your photos, Carol. They are memories for a lifetime. I didn’t know how special the memories would become. We never do. I’m happy that you had some images to look back on. I cried also. 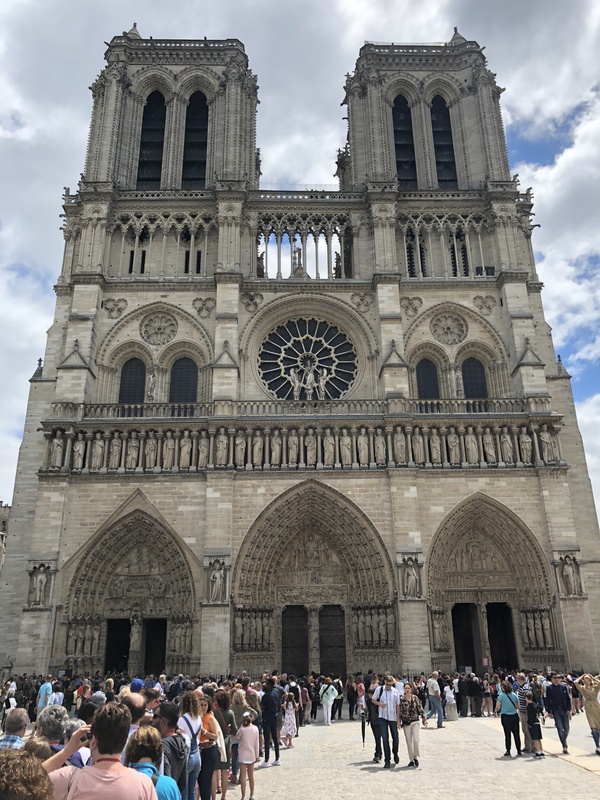 I have seen Notre Dame twice on two trips, but never went inside. 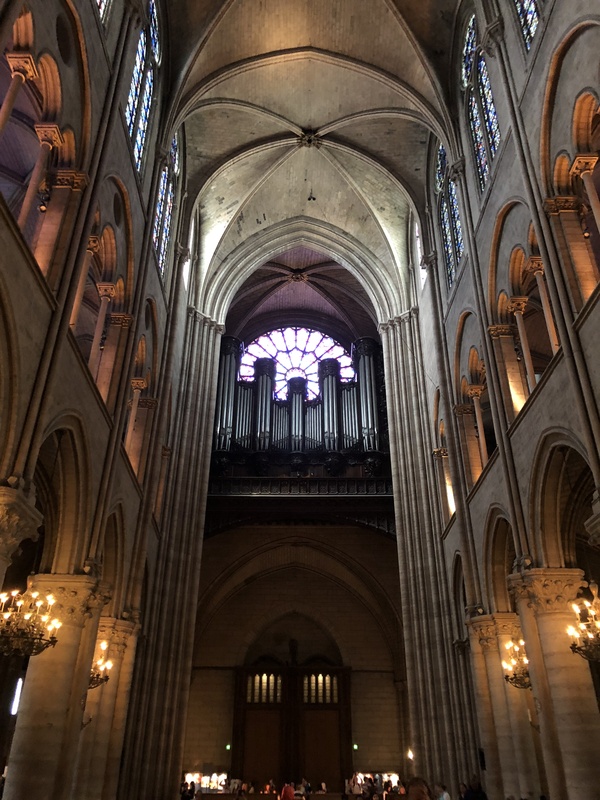 We are going to Paris in two weeks and going inside was on my bucket list…. Oh the line to get in was long and standing in the sun almost made me give up. So sorry you’re missing inside. Truth be told, there were so many of us tourists it was hard to appreciate the interior. My favorite time was sunset outside the day before. Save some of those for this week’s Sunday Stills theme, Carol. Beautiful photos, you are lucky to have visited and have those memories. 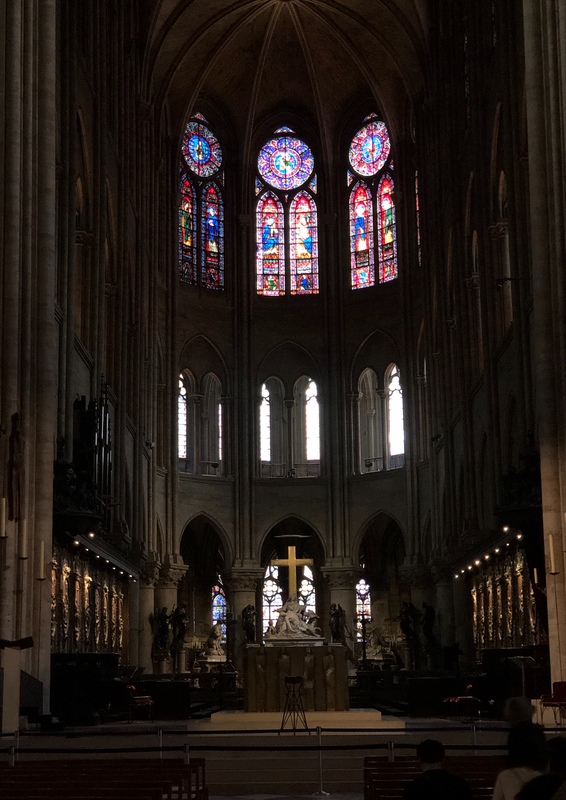 I have more cathedral pics. I am very lucky to have hopped off The Big Red Bus that day. What’s the theme BTW? This Sunday is “spirit.” For Easter and Monday’s Earth Day. Thank you for sharing these. I was there only once, in 1985, before digital cameras, and I have no idea if my photos, probably slides have survived from that era. I understand some of the art, the alter, and other things were spared, or saved. No one was killed. We have much to be grateful for. But still…it is heartbreaking. And now some idiot was in St Patrick’s in NYC with gasoline….the world has truly gone stupid.